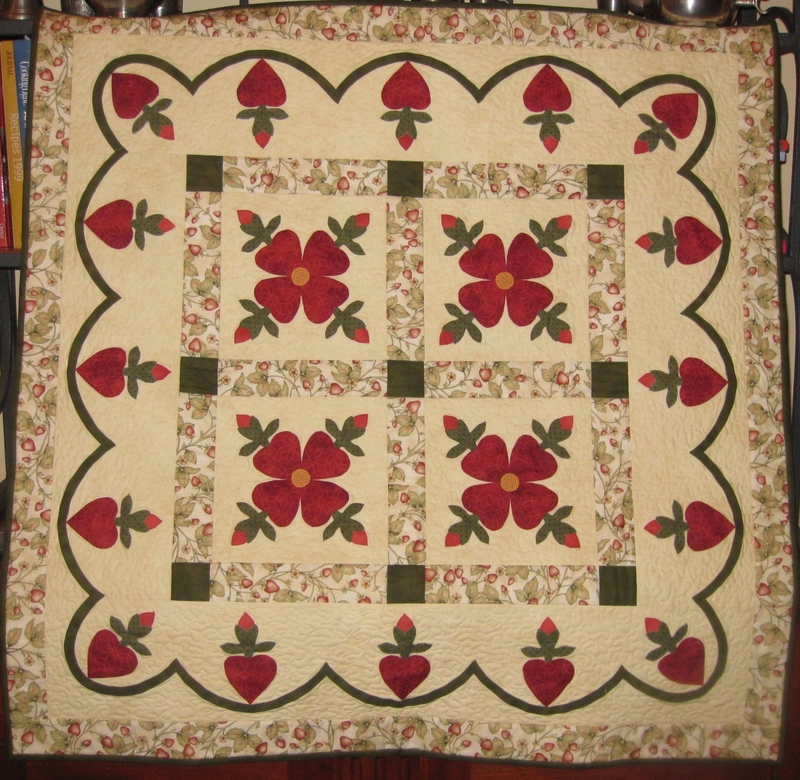 Denise: When and how did you start making quilts? Teri: I learned to sew when I was about 5 years old. I have five sisters, and we all love to sew. By high school, I was sewing my own clothes, including jeans and tailored jackets. I even won the home economics award at my high school! While in college, I came across a quilting show on TV and decided to give it a try . . . and was immediately hooked! I made a dozen quilted pillows, then my first quilt. D: When did you decide to start your successful business? What did it entail? T: I always wanted to be a stay-at-home mom, but I hated the super tight budget, so I knew I wanted a home business. 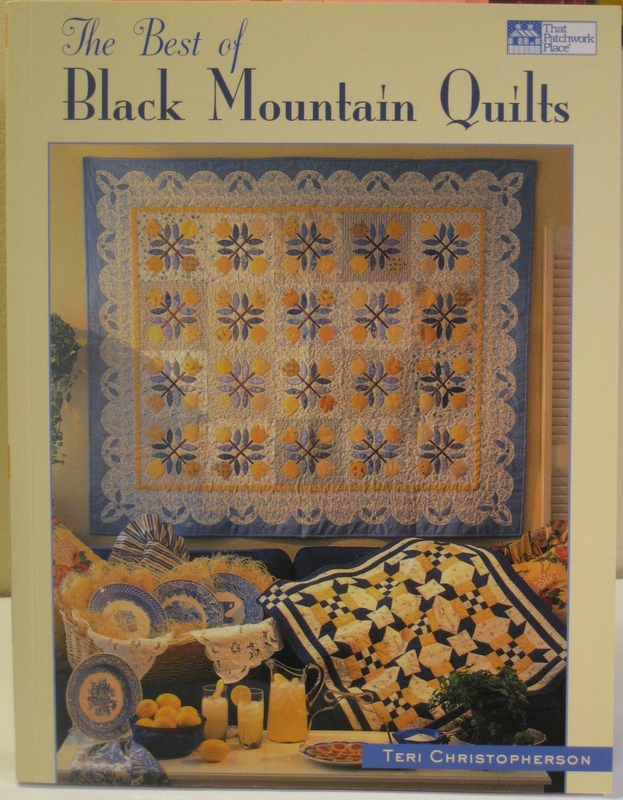 At first, I sewed quilts and sold them in country tourist shops, but it was very labor intensive. 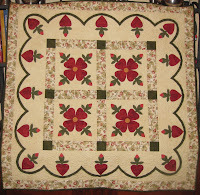 Then I met a couple of people who published their own quilt patterns, and I knew that was the way to go. I loved designing new things, not following existing patterns. 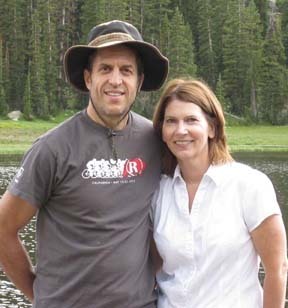 I convinced my husband to invest about $1,200 to publish my first 4 patterns -- which was a small fortune for us. I rented a booth at the wholesale trade show to sell them. Fortunately, the patterns sold well and my business grew. D: Where does inspiration for your patterns come from? T: I keep a folder of good ideas, but honestly, I rarely look in it. An idea usually just pops into my head, and I start drafting and sewing. I tend to have months of intense creativity, where I can't sew fast enough, and months where nothing seems to turn out right. D: What is (are) the best thing (s) about your decision to start your business? T: Without question, the best thing is the ability to earn money at home while raising four children. My oldest child was born severely handicapped, so it's been nice to have that flexibility. The other thing I love is the creative outlet. It's great to have a productive use for all those wacky ideas! I'm a rather high energy person and love keeping busy. D: What are the drawbacks, if any? T: The drawback of having a home business is that the work is always there, just a few steps away, so it's hard to get away from it all, especially when things are busy. I've worked some crazy long hours over the years -- meeting print deadlines, preparing for trade shows, etc. It's also hard when I have a great design in my head, but it just doesn't turn out -- when I rework a quilt a dozen times and it's still ugly. Those are the days when it isn't so much fun! D: Please introduce us to your family. T: My greatest blessing is a happy marriage. My husband, Mark, is a very practical engineer and doesn't really get the whole cutting-up-fabric-just-to-sew-it-all-back-together-again thing, but he's wonderfully supportive of my business. And loves the income! I have four children -- Kelsi, 22, Connor, 18, Maia, 15, and Max, 12. Kelsi was born severely mentally handicapped, so she's actually still my sweet baby, requiring a lot of care. D: How do you juggle your family commitments and your business? T: It was harder when my children were young -- lots of sewing at 2 o'clock in the morning and dragging toddlers through the fabric store and post office. Looking back, it was pretty crazy, but I tend to thrive on a little chaos. Now, I work while they're in school and focus on them when they're home. Much easier! D: What do you do for relaxation? T: I go running almost every day -- at an embarrassingly slow pace, but I still love it. I also love to read and belong to a book club. I love baking cookies. And I love to shop for just about anything -- shoes, clothes, dish scrubber, computer -- I don't care, I get into it! D: Do you have any advice for someone contemplating starting their own quilt-related, or craft, business? T: Having a creative home business has obviously been a great blessing in my life, so I highly recommend it. But it isn't the sort of thing that just happens on its own. It takes a lot of focused attention, great ideas, hard work, and probably some financial risk. It can even be technical at times, when you have to learn new computer programs, how to run a website, etc. But if someone has the creative drive and energy to keep at it, ask a lot of questions, and ignore some rejection, it is well worth it! What a wonderful interview. 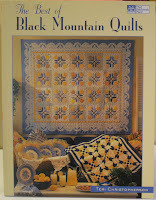 I have one or two of Teri's books and made at a couple of her quilts.